The American Planning Association describes a “great” public space as a “safe, welcoming and accommodating” area that “promotes human contact and social activities.” Reading through the list of other requirements– “reflects the local culture or history, is well maintained and has a unique or special character”– one uniquely Pittsburgh-ian space comes to mind. 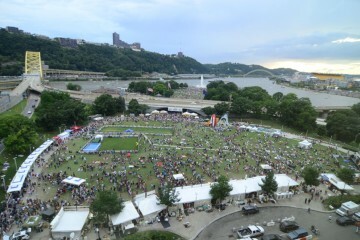 For their 2014 Great American Places celebration, Pittsburgh’s Point State Park was named among the top 10 Great Public Spaces, a sub-category within the awards. The other two categories for which American cities are recognized are Great Neighborhoods and Great Streets, with the Great Public Spaces designation being added in 2008. Among Point State Park’s peers in the category are the Reading Terminal Market in Philadelphia, Lake Mirror Park in Florida, The Lawn at the University of Virginia, and Lithia Park in Ashland, Oregon. What set Point State Park apart from other parks and recreational areas in America has much to do with its history. 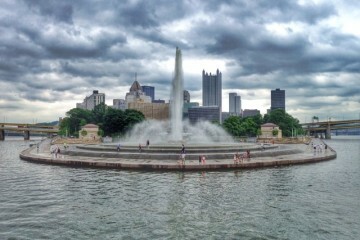 “Point State Park was born out of the Pittsburgh Renaissance, an urban renewal project in the 1950s that cleared a former blighted industrial area for the 36-acre park that was completed and dedicated in 1974. The park was integral to the rebirth of Pittsburgh’s downtown from the 1950s through the 1970s. 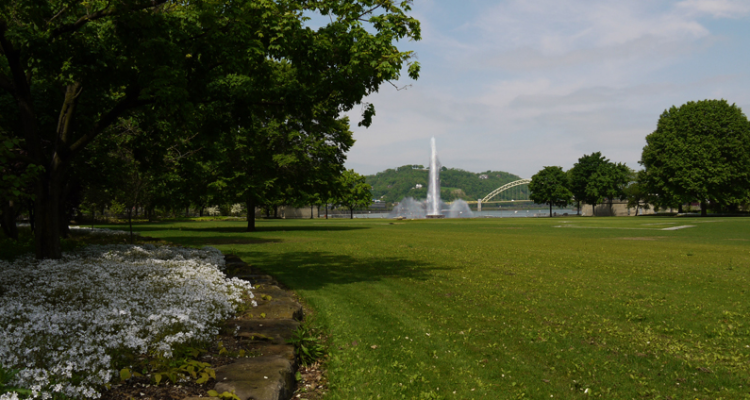 Point State Park was designated a National Historic Landmark in 1975 and is listed on the National Historic Register of Historic Places,” says the American Planning Association. The designation was also due largely to the community events held at the point, as well as its central and familiar location within the city. The Planning Association makes note of the Three Rivers Regatta, Three Rivers Arts Festival, and the Pittsburgh Great Race and Marathon. The article also mentions free environmental education and recreational programs at the Point provided by the Pennsylvania Department of Conservation and Natural Resources. The article includes a detailed history of how the Point was developed after its use in the 70s, as well as information about events and features that are available to the nearly 2.5 million visitors that Point State Park receives annually.